Made solely of cherry tomatoes, cherry tomato purée and a pinch of salt. ** Kosher certified (U). Vegetarian/Vegan meat-free. Sicily is well known for its incredibly sweet and ripe cherry tomatoes, a key player in most of their cuisine's dishes. 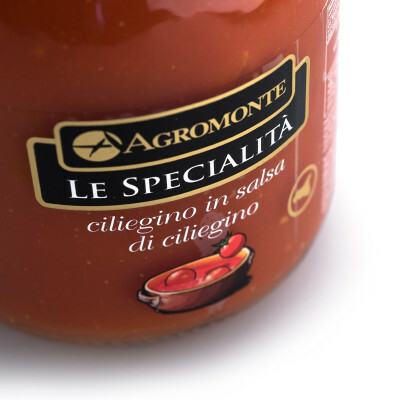 By combining all the goodness of their cherry tomatoes with the juices from even more of them, Agromonte creates a unique, inimitable product that represents the crown of their cuisine. 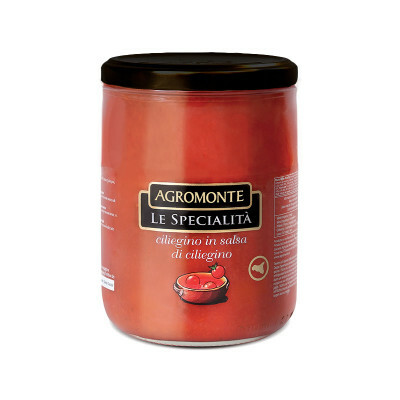 Cherry tomato (60%), cherry tomato sauce, salt. Acidity regulator: citric acid. Ideal for both first and second courses - especially with pasta - and for delicious pizza.